Africa’s economy is growing at an unprecedented rate, leading to a rapid rise in demand for energy. The continent faces a severe energy problem; nearly 620 million households live without access to electricity. Governments across the region recognise the need to heavily invest in electrical infrastructure and energy storage and are taking steps to meet the continent’s demand for electricity. The continent is rapidly moving to harness the potential of renewable energy. By 2025 South Africa alone is expected to install 25.9 GW of new wind and solar capacity . South Africa is in fact forecasted to be the largest market in the region for energy storage through the heavy deployment of renewables and the adoption of energy storage solutions across the rest of the region. 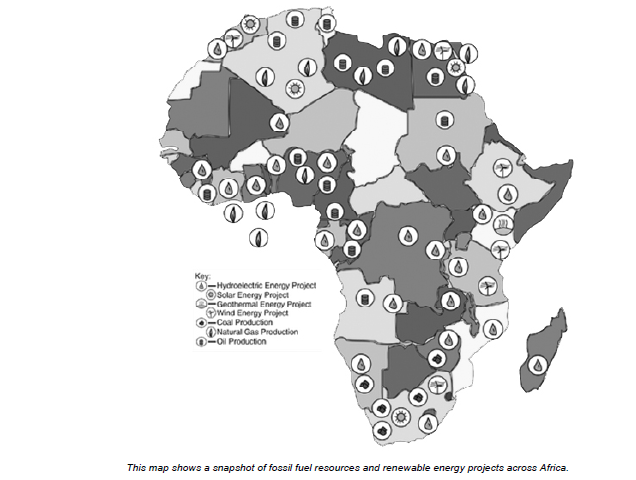 The 2018 African Energy Industry Market Intelligence report highlighted renewable energy technologies with highest deployment potential in Africa are: modern biomass, hydropower, wind, and solar power . To harness the full potential of renewables, countries across the region must also adopt technologies that serve as a link between the renewable resource and the storage of energy. The continent is turning photovoltaic (PV) technology as recent substantial cost reductions serve as an economic solution for electricity generation and meeting on-grid and off-grid energy service demands to the 600 million who lack electricity access. IRENA estimates that with the right policies set in place, Africa could be home to more than 70 gigawatts of solar PV capacity by 2030 . Additionally, pairing PV systems with hybrid battery storage accelerates output of the plants and responds to grid demands rapidly. PV-hybrid battery storage is entering the early development stage in Africa, with projects such as the Madagascar Scaling Solar 25MW PV with battery storage currently deployed in the public domain. Molten salt storage is another cost-effective energy storage system and acts as a heat transfer and storage medium when matched with solar thermal power plants. It has the capacity to generate electricity for both on-grid and off-grid applications 24/7 a day. CSP is an apt and viable technology when paired with molten salt to ensure thermal storage. Policymakers across Africa are now focusing on financing and setting the right frameworks for adoption of renewables. There’s an immense need for capital investment in the region with nearly USD 50 billion required annually to serve the needs of the continent. Current investment flow is 50-60 percent below the required level. Governments are addressing this issue through loans, equity investments and the encouraging of private sector investment. Decreasing technology costs are also accelerating the adoption of renewables. Power generated by solar PV alone has decreased by 61 percent to $1.30 per watt in Africa compared to the global average of $1.80 per watt since 2012 . Renewable energy has become a sustainable and competitive choice for Africa. Paired with energy storage technology it has the potential of improving energy security and reducing reliance on fossil fuels, all while supporting economic growth and social development.